The Island Heiress is a 145' mega yacht that was built in 1996 by Cheoy Lee. The boat was completely refit 2013-2017 from stem to stern. We are proud to offer state of the art Crestron programming on board to give you access to technology all with the touch of an ipad. We offer an abundant amount of water toys to appeal to all age groups. Here at Island Heiress we want to treat you to the ultimate vacation. 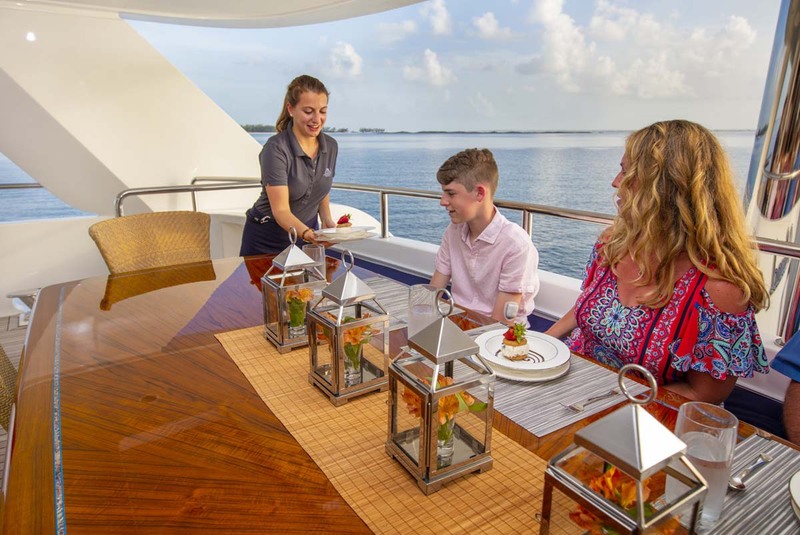 We want you and your entire family to enjoy all that cruising life has to offer, from 5 star meals, to fun in the sun in the beautiful pristine waters in the Bahamas. You can relax on the boat and enjoy the comforts of home, all while spending the vacation of a lifetime aboard a mega yacht! Captain Gaffley has been working in the yachting industry since 2005. With over 13 years experience, he has worked on yachts from 100' to 200'+. Captain Gaffley was extensively involved in the refit of Island Heiress from 2013-2017. Captain Gaffley is a native South African. He enjoys traveling the world, not just by boat but also by motorcycle. He recently drove across the United States on his motorcycle. He has worked as an air traffic controller and also has a private pilots licence. In his off time, he enjoys spending time with family and friends. His first love is of course, yachting! So when you come on board, make sure you listen to some of the stories Captain Gaffley can tell about his yachting experiences!